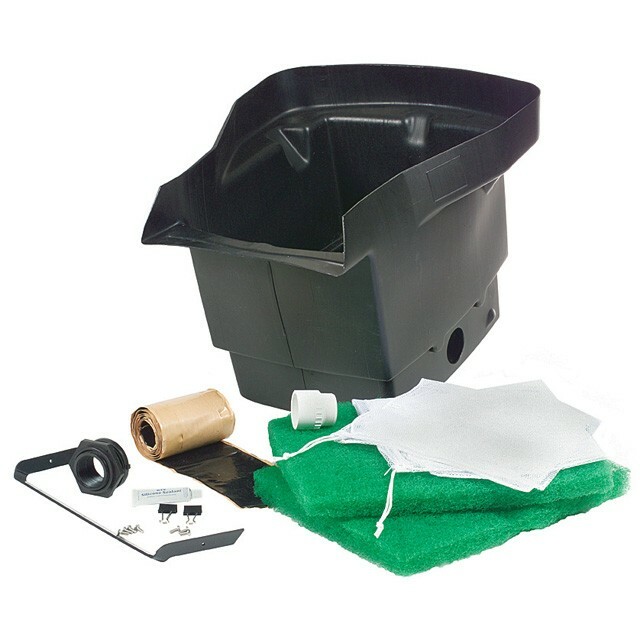 Little Giant Biological Waterfall Filters will solve all your filtration concerns while at the same time adding a beautiful and natural looking waterfall to your pond. The water weir (where the water exits the filter) allows water to naturally "fall". This very effective biological filter will help improve water quality as well as fish and plant health. Plant baskets can be placed on top of the biological media to create additional filtration and a natural disguise. Other functions include pond water oxygenation and a stream source. Excellent for use with the a Little Giant Pond Skimmer.